The Course Rating for IM Chattanooga is 16:35. IM Chattanooga is a P-2000 race. 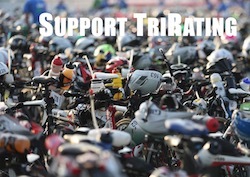 It is an MPRO-only race with a prize purse of 50.000 US$. The Chattanooga field has a very interesting mix of athletes. Marino Vanhoenacker has said good-bye to Kona but continues to race strong across all continents. If Marino is on form, he is the clear favorite. But there is a large number of athletes that will try to make it hard for him. With Matt Hanson and Jeff Symonds there are two athletes that have had some bad luck with injuries and DNFs, they’ll be battling for the fastest run but will be looking for more. In addition to Marino, Matt and Jeff there are six more athletes that have won a Pro Ironman race before!